Tennesseans will soon have an opportunity to sample distilled spirits at restaurants, bars and liquor stores under new legislation signed late Friday by Governor Bill Haslam, according to the Distilled Spirits Council of the United States (DISCUS). Under an amendment to Senate Bill 1224, a retail licensee may offer complimentary samples of the products it sells for tasting events held on the premises of the retail licensee. Such tastings, the amendment stipulates, are for sales, education and promotional purposes. The bill passed the State Legislature on May 21 and was signed by Gov. Haslam on June 10. “For brand owners seeking to introduce premium products, sampling laws provide an excellent opportunity,” said DISCUS Vice President and Memphis native Ben Jenkins. Tennessee is the eighth state to pass legislation allowing liquor tastings since 2009 for a total of 43 states allowing some form of consumer spirits tastings. Under the new law, the Tennessee Alcoholic Beverage Commission (TABC) is tasked with formulating reasonable regulations for conducting tasting events at licensed retail locations to ensure responsible consumption, according to DISCUS. Jenkins noted that Tennessee becomes the 35th state to allow off-premise consumer spirits tastings (i.e. liquor stores). 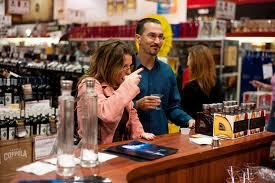 In 2010, four states passed liquor sampling bills: Michigan, New Jersey, Virginia and California. Earlier this year, Washington State established a pilot project for 30 state liquor stores to hold at least six tastings events throughout the year. Vermont and Maine passed spirits tasting legislation in 2009. Jenkins further pointed out that modernizing liquor laws to allow sampling has contributed to the strong growth of premium spirits brands over the past decade.